Writing a guest post is one of the best ways to bring in lots of traffic to your site. I write guest posts on several blogs, and these posts always bring in lots of interested readers to my site. Guest posting is also a great way to get a high-quality backlink which will help in your SEO efforts. 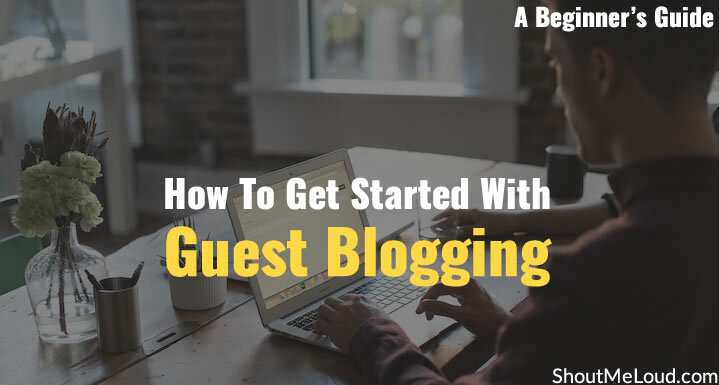 What is guest blogging and its benefits? Step 1. Write the guest post. Step 2. Contact the blog owner. Step 3. Capture traffic after your guest post. Step 4. Promote your guest post. Step 5. Reply to comments. How Many Time you should Guest Post? Guest blogging a.k.a. 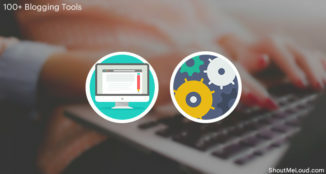 guest posting is a well-known marketing technique for blogs and businesses alike. 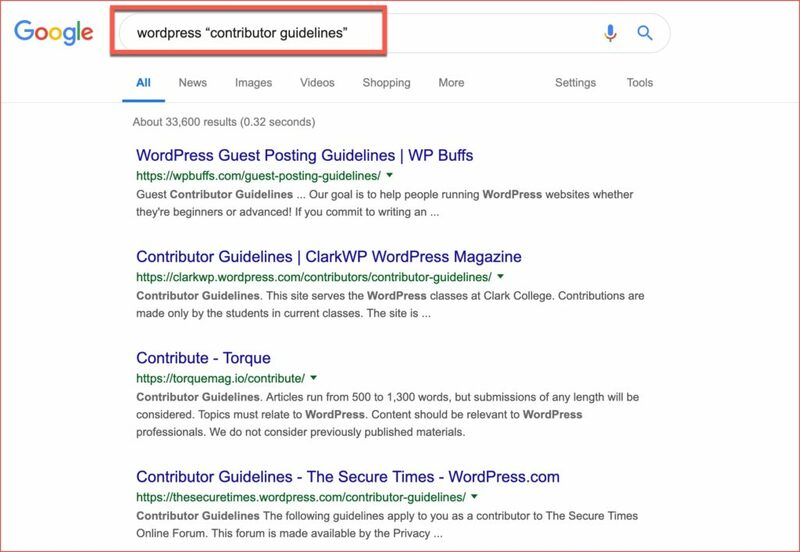 In this technique, one has to identify other websites where they can contribute an article as a guest author. Guest posting is still one of the most effective ways to generate inbound links to your website. These links could be earned in the author bio or within the article. Usually, it’s hard or almost impossible to build such links to product pages (if you are in e-commerce sphere), but it’s easy to build links via guest posting to your resource pages, case study or even a simple blog post. By guest posting for your personal brand or even for your business, you are going to build authority and increase brand awareness. The key here is to get your guest post published on the authority blogs in your niche. Even if you are completely unknown in your industry, a few guest posts on high relevance websites could help you to be known by the right audience. As your guest post will have a link to your own resources, you are more likely to get highly qualified traffic which converts. If you dive deep into your analytics, you would notice that referral traffic from relevant websites usually has high avg. time spent and they convert well. In the case of guest blogging, you are taking a proactive approach to gain similar referral traffic. 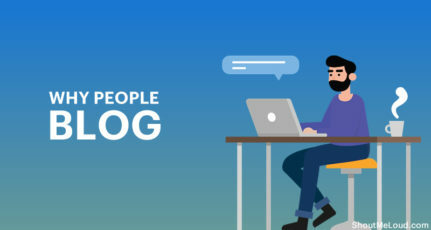 You can always craft your guest blogging content strategy in a way, that introduces to your product/services which increases the awareness and hence the overall conversion. What’s your purpose of guest blogging? It is very important at this stage that your goals are pre-defined. If your purpose is to build links, it’s a good idea to have an excel sheet ready with a link to your website pages + anchor text. 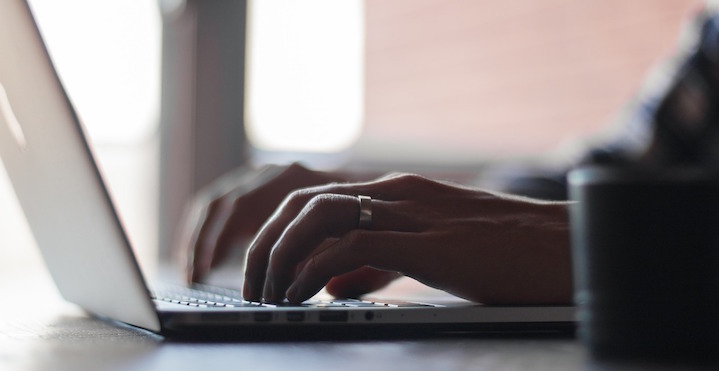 This steps will help you speed up the process as you grow in the game of guest blogging. So now you’ve decided you want to start guest posting. Should you just pick some random blog in your niche? This is a mistake most of the newbie makes and that waste their time, money and effort. In this guide, you will learn all the effective and actionable steps you should be following. Your guest post should be published on similar niche websites else it would not be effective from SEO or even traffic perspective. This is a domain ranking mechanism by Moz where it ranks a web-page based on 1-100 scale. You should aim for 40+ Domain authority. You can read about domain authority here. Growing traffic is another key metric that shows if the target website is healthy and growing. Ensure, the target website is updating or publishing new content, else it would not make much sense to guest post. If your purpose of guest posting is to create authority and a name for yourself, ensure the brand offers author bio. Without this, you will only earn backlinks but not the branding you looking for. However, there is an exception at times when you are getting featured on a highly authoritative website which doesn’t offer author bio but do use your name. A quick glance at the recent 5-10 articles on your target website could let you see if the blogs are made for guest posting or it deliver high-quality content. There are many blogs which accept guest posts for a price and they do not weed out bad links. Putting your effort on such websites is not useful in a long run and you should avoid it. 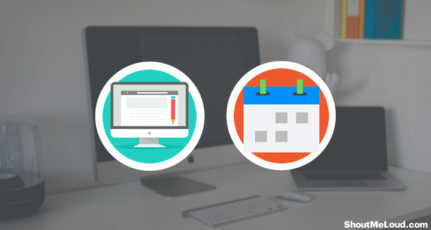 The above checklist will help you stay focused on high-quality sites. To find guest posting opportunities, you can use these search operators. Here is a list of quality blogs that accepts guest post. Once you have identified the blogs, now it’s time to get started. So after you’ve identified the blog you want to write for, you need to write the post. But before you do, have a look at the topics that have already been covered, and make sure you aren’t writing about something that has been written about before. Make your content new and unique. Also, try to emulate the blog owner’s writing style as best as possible. This will increase your chances of getting that post accepted. Don’t be afraid of being rejected by the owner. If your guest post gets rejected, you can submit it to another blog or publish it on your own blog. If it gets rejected, don’t hesitate to ask for feedback. Most bloggers are in the business of helping people, so they’ll be happy to share with you why your article was not the right fit for their blog. Provide high-quality outbound links (not necessarily to your own blog!). Provide the most value you can. Make sure the post is relatable to the blog’s audience. Make sure that you also optimize your guest submission for a specific keyword. As you are guest posting on a highly authoritative website, chances of your article ranking is higher. 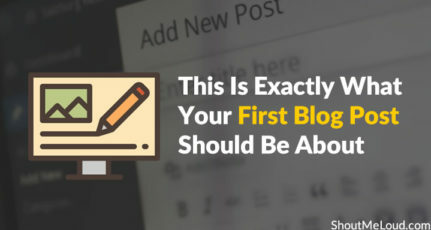 If you don’t know the blog owner, then you should write an introductory email along with your guest post attached in a Microsoft Word format. Don’t forget to write your email ID and your social networking information in the signature. Shout Me Loud has been on my radar for years, and finally, I thought I would ask. I would love to write a guest post for you, something that would really motivate your readers. We both run great blogs and make a living from it and it’s always good to remind people why it is so great. I am sure your readers will enjoy it. Not sure if you have read any of my posts, but apart from running $Yourblogname, I have been on SEMRush, Blogging Wizard, John Jantsch’s new SEO site, Pro Blogger, Coschedule and many more blogs. Let me know if you are up for it, and I will get started on a draft asap. The owner will want to see that your blog and your brand can offer something of value to the readers of their blog. Editor’s note: A clever strategy would be to contact the owner and ask them if they’re accepting guest posts. Include in your inquiry letter a link to some of your best articles, and mention the title and a brief two sentence summary of your proposed guest post. This is the party time! Now you get to enjoy the immediate blog exposure from this guest post. Your blog’s traffic will increase and you may get lots of blog subscribers (depending on the content and quality of your blog). Try to capture this new audience by making your best post the first post visitors see. Write a great roundup post (like this) which is heavy on interlinking and contains lots of great value. This will keep your new visitors around for a while. You should promote your articles on social media sites like Twitter and Facebook. Don’t wait for the blog owner to tell you; just do it yourself as soon as the post is published. Also, something you might want to do is place an outbound link to another blog in your guest post. You can then tell that blog owner that you linked to their work, and they will consider promoting your guest post to their readers. This is really a good strategy to build authority and get others to like you. But don’t include links just for the sake of building backlinks. A blog owner will reject your post if you’re just trying to build backlinks. You need to reply to comments on your guest post. There’s nothing more irritating to a blog owner than giving someone free promotion and then having them walk away when their readers want to connect with them. Be a good customer service agent and respond to all comments and questions. Be engaged with the commenters. This will help build your authority, and it will ultimately bring you more traffic and more guest posting opportunities. There is no limit to the number of guest posts you can submit. You may do one or two, or you may do several. It totally depends on the exposure you are getting and how much time you want to spend writing guest posts. Some blogs help you get great traffic, and some don’t help at all. Identify the ones that work well for you, and figure out a consistent guest posting strategy to help grow your traffic, your number of subscribers, and your authority. One thing that I often suggest to marketers is, it’s better to guest post on different blogs than guest posting on the same blog, especially if your purpose is to build links. What’s your strategy for getting guest post spots on high-quality blogs? Let me know in the comments below. Agred..Guest Posting is a great and a useful way to get new readers and suscribers for our blog.It helps us to make new connections with other bloggers which is very useful and can help us to make a large network. Thanks for your input and I have to agree with your insight. I have got feedback from my guest author about new readers. Though a Guest author need to have proper strategy to capture the incoming traffic. I asked many blogs related to guest posting and got positive response too. I will do guest postings in future. The best part of guest posting is that it shouldn’t take a lot of work. Ideally, the article has already been posted on your own blog and all you have to do is massage it a bit. 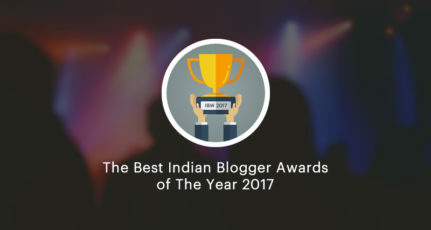 I am really impressed with the post written by Himanshu.He has cleared here about Guest writing on any blog with the really superb tactics and ways. I am also planing to post my articles on any other blog to get noticed by many other blog readers. Writing quality content and then choosing a blog with high traffic can bring in lots of traffc and subscribers. It needs to impress readers and make them visit your blog. These are very valuable ideas. 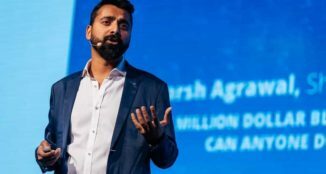 Thank you for posting Himanshu’s article. You are demonstrating exactly what is suggested. We should all be writing useful content! Good article Himanshu. I am also planning to write a few guest post for exposure of my new tech-blog. How many Twitter followers is needed to get lots of traffic and business to your site? Yea only some people are kind. But some just mail a single line of feedback and trash your guest post,without even caring the amount of time and mind spent on the writing guest post. I tried to submit my guest blog article on a blog that has pagerank 6. But, it was rejected. Well, actually I have read in its article that it has 400 guest blog articles submitted every day. I just didn’t notice it. The editor replied me with the same info. They got 300 submissions that day, and only could pick one. I think this is also can be a consideration. If we just about to start to do guess blogging, we need to see about the competition. Targeting blogs with lower pageranks, but fewer competition probably can be a good start. I finally submitted the article to other blog. And just got accepted in few hours. Now, I want to try to write for other blogs too. Wish me luck. It isn’t a new thing – blogs with very high page rank will normally receive very high guest posts request from around the web. The best way to submit a guest post to a popular blog, is to know the blogger (the blog owner) a little bit personal. This will always work for you if you try it. Strive to connect with other bloggers and you’ll see improvement whenever you pitch them a guest post. That’s the strategy anyone should seriously use. I have a simple query, is it better to write several guest posts for a single blog or to write guest posts for various blogs. By the way really nice post. I have recently bookmarked your blog and I learn a lot from your posts. 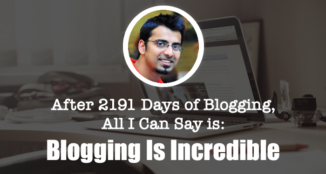 I am in the process of learning about Guest Blogging, so you blow into my mind many new ideas. Welcome to ShoutMeLoud, and glad you find it useful enough to bookmark it. Enjoy your stay with us. Frankly speaking, we need to find a way to increase traffic to our blogs without Google. Thanks for sharing this article Himanshu. Thanks for sharing this valuable information regarding guest posting. really its mean to lots of me. When it comes to Guest posting my question is that will I guest posting without any personal certification or such as any opportunities that for easy way to customize of guest posting object. I have a blog but it’s not decorated well also create by blogspot. Now I want a minimum guest posting for traffic purposes of my site. Contents are ready for using guest post but my certification is too much well. Anyone any instruction for me please. Yeah, Its great information for beginner’s. But can you suggest some tips to how to get easily approval guest blogging.